The delivery company will be giving out 100 tonnes of free food across the UK. Deliveroo has announced the launch of the RooBus, which will be touring the UK throughout 2019 and giving away over 100 tonnes worth of free food to Brits. 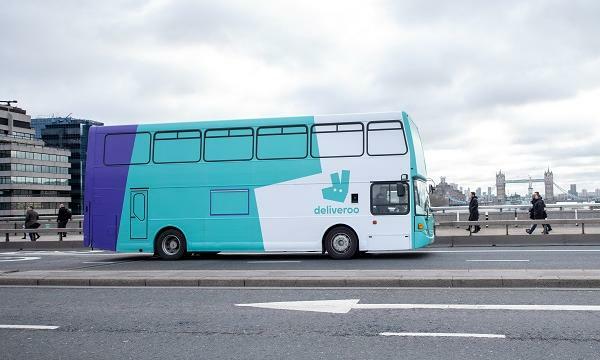 The Bus began its 10-month tour, leaving Deliveroo on March 19 with its first official stop at Edinburgh University on March 20. KFC, Pizza Express, Barburitto and Yo Sushi! Are some of the restaurant working with Deliveroo to give food to Brits at the RooBus’ tour stops. Customers will be able to take part in a food-themed escape room on the upper deck, solving food-related puzzles and riddles.